Québec, September 4th, 2018. The Envol et Macadam Festival begins this Thursday ! Presented in collaboration with la bière Tremblay, the event which is at its 23rd edition means to showcase the best of alternative music at l’Îlot Fleurie and different concert venues in the heart of Quebec City, from September 6th to 8th. A lot of artists will appear on the main stage of the festival under the Dufferin-Montmorency Highway, a highly distinctive urban setting that appeals to festival-goers and bands alike. 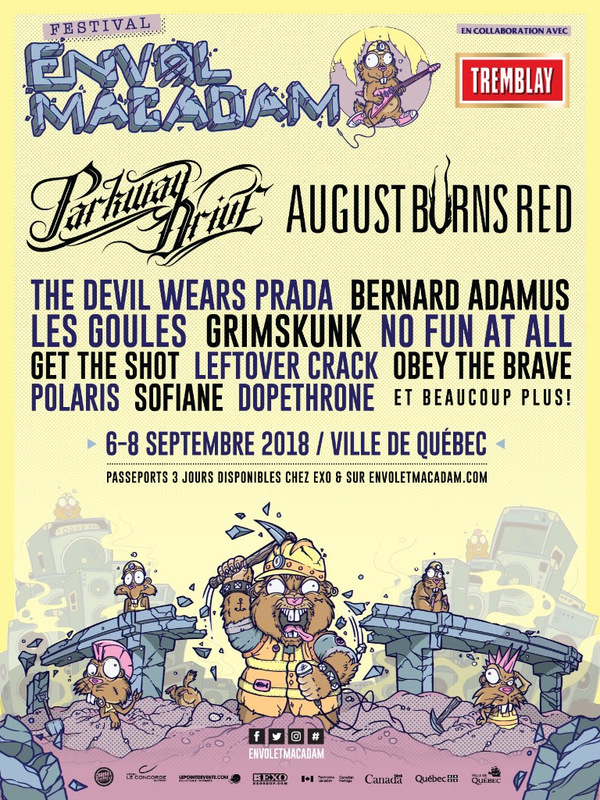 On Friday, the public will be able to see Grimskunk, the Swedish punk rock band No Fun At All, the legendary Quebec City band Les Goules, and Bernard Adamus, who’s making a comeback on stage. On Saturday, the heavy artillery is deployed with the presence of the Australian band Parkway Drive headlining, which will be preceded by August Burns Red, The Devil Wears Prada and Obey the Brave, amongst others. The festival also has a particularly rich and diverse indoors concerts programming this year. The music lovers will get their full of decibels while attending, amongst others, the performances of Get the Shot, Dopethrone, Leftover Crack, Sofiane and several other talented artists who will perform on the Salle Multi of Le Complexe Meduse, Le Scanner, l’Anti Bar & Spectacles, Le Knock-Out, Le Dagobert and Le Meltdown. 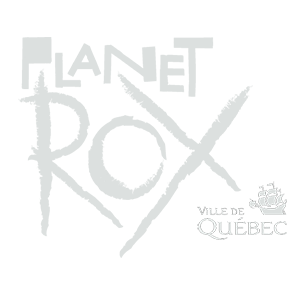 The finalists of the Planetrox auditions from ten countries will also play on those evenings. Finally, electronic music will also have its place with an outdoor scene entirely dedicated to it, at the Place de l’Assemblée-Nationale. Check out the full program on the website or via Envol et Macadam’s brand new mobile application. Download it to access the detailed programming at any time and to build your personalized show grid ! Envol et Macadam would like to thank all of the festival’s partners. 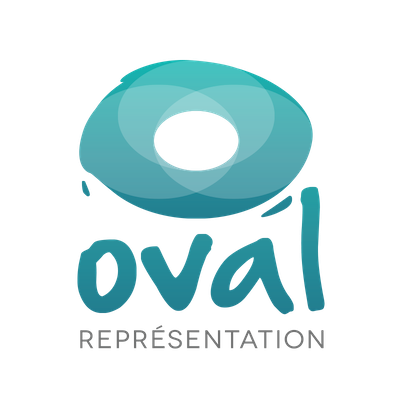 The event receives support from the Ville de Québec, the Government of Quebec, Canadian Heritage, Groupe Attraction Radio, Tremblay beer, Jack Daniel’s, the Hotel Le Concorde, CHOI-FM 98.1 and Exo Shop. The organization also wishes to thank all its suppliers, broadcasters, restaurateurs, employees and the media present during the event.